VIRGINIA BEACH, Va., April 9, 2019 /PRNewswire/ -- The international extreme sports phenomenon is back for more chip-flying, saw-screaming action. 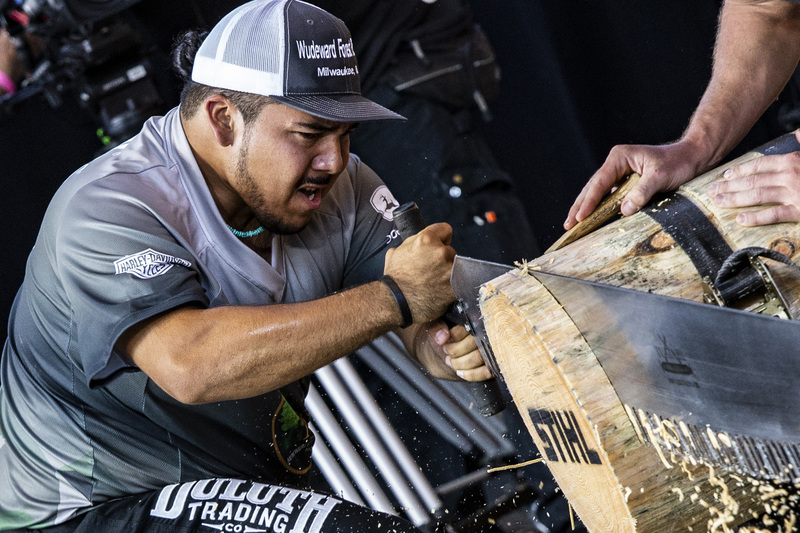 STIHL TIMBERSPORTS® - featuring the world's best lumberjack sports athletes - kicks of its 2019 season with collegiate and pro qualifiers in 10 cities across the country. 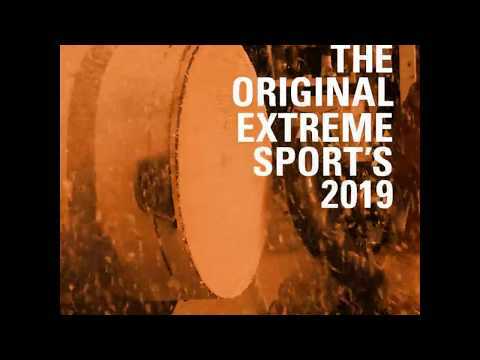 The Original Extreme Sport, sponsored by John Deere and Duluth Trading Company, will return to Milwaukee for its U.S. Championship. "We've seen tremendous growth in our sport the past several years, so it made sense to increase the number of athletes who can participate," said STIHL Corporate Communications Manager Roger Phelps. "It's particularly exciting to see the growth of the Women's Division. In only its third year, we continue to see strong growth in the pool of skilled female competitors. It's going to be a phenomenal season and we're looking forward to once again putting on an action-packed show in Milwaukee." The talent in the sport is at an all-time high, and the Men's Pro Division has expanded to a record 55 athletes competing across five qualifiers in Pigeon Forge, TN, Shelton, Wash., Cherry Valley, N.Y., Hayward, Wisc. and Morgantown, W. Va. this season. Athletes compete with razor sharp racing axes and saws in six grueling disciplines – the underhand chop, stock saw, single buck, standing block, springboard chop and hot saw. The U.S. Women's Division, in just its third year, has also seen a massive infusion in talent. Thirty competitors will compete across three regional qualifiers in Shelton, Wash., Cherry Valley, N.Y. and Hayward, Wisc. to advance to the Championship. Every second will matter as they look to score low times in the underhand chop, stock saw and single buck. The Collegiate Division returns with athletes from over 67 colleges and universities. The Division is a feeder system that develops the next generation of STIHL TIMBERSPORTS® professional athletes. In addition to winning honors on the national stage, the U.S. Collegiate Champion moves on to compete against the world's best young athletes at the international Rookie World Championship. They'll look to dominate in the standing block chop, underhand chop, stock saw and single buck. 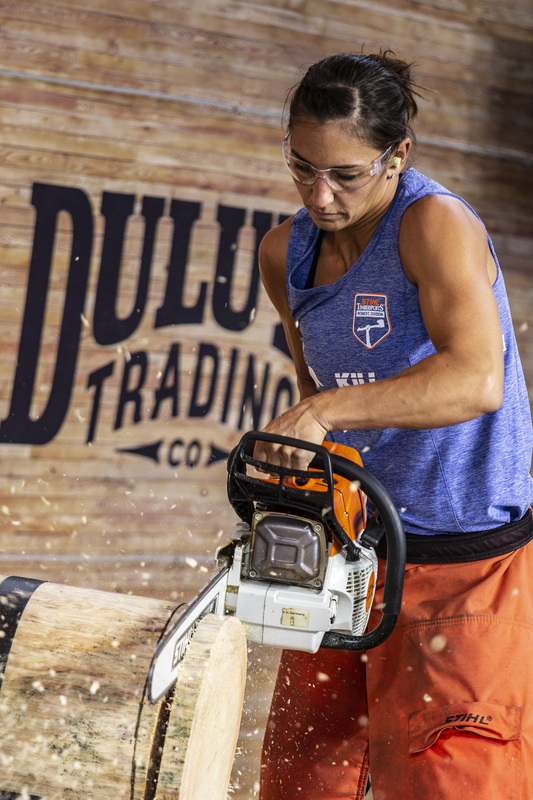 For the sport's full 2019 schedule, visit https://www.stihlusa.com/stihl-timbersports/schedules/. The regional qualifiers will determine which extreme athletes will compete at the U.S. Championships. The top 20 men, 10 women and eight collegiate athletes will vie for their spot at German Fest in Milwaukee, from July 26 to 28, with upwards of 15,000 fans live in attendance. The U.S. Champions will have the opportunity for international acclaim, as they will earn spots in several international events. The men's winner will compete in the Individual World Championship against the best 11 lumberjack sports athletes from all over the globe. He'll also join the Collegiate Champion as part of the U.S. Relay team, which will also compete at the World Championships. Both events will take place in Prague, Czech Republic from November 1 to 2. The Collegiate Champion will also compete in the 2020 Rookie World Championship. STIHL TIMBERSPORTS® will air on CBS and CBS Sports throughout 2019. Fans can stay up-to-date with news about the sport via Facebook, Twitter and Instagram, as well as watch past events and exciting clips on the sport's YouTube page. 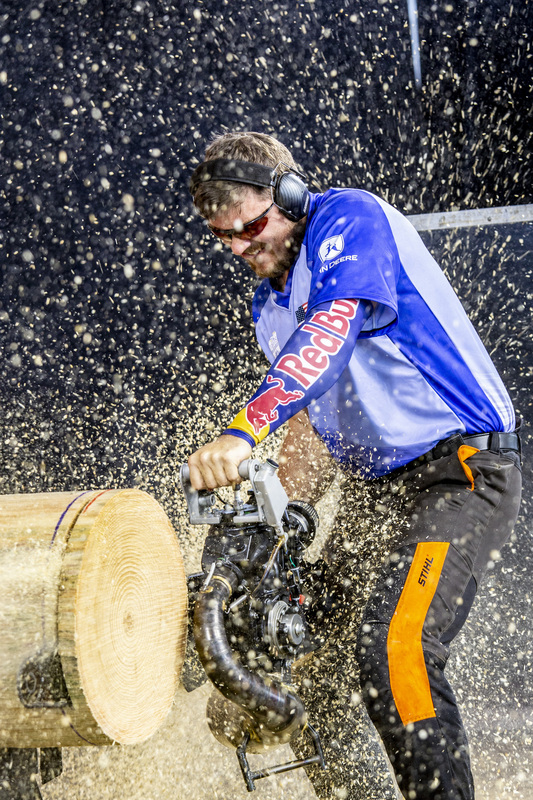 Additionally, major events like the U.S. Championship, and international events like the Champions Trophy, Rookie World Championship and World Championships, can be watched live via livestreams on the STIHL TIMBERSPORTS® social channels. Matt Cogar of Diana, W. Va. has already solidified himself as one of the best American lumberjack sports athletes of all time and last year set the world record in the standing block chop. He's looking to win his seventh straight U.S. Championship, a feat never achieved in the history of the sport. Cogar will represent the U.S. in the 2019 Champions Trophy in Sweden on May 25. Erin LaVoie is the reigning Women's Division Champion, and one of the sport's most impressive athletes. Recently featured in The Titan Games, Erin also runs a Crossfit gym in Spokane, Wash.